Blogging is all about sharing and writing your ideas & experiences. While writing articles, one common thing that we most bloggers do is typos or grammar mistakes. Especially for non-native English bloggers, these mistakes are inevitable. This is when Grammarly comes into the picture. Grammarly is a saviour for such bloggers. Grammarly is the best grammar checker tool available in the market today. I am writing the article on Grammarly Review. Grammatical errors in your blog post are one of the quickest ways a reader will stop reading your content. Grammarly is a boon for those bloggers that struggle with how they write. The Grammarly review seemed in order considering its feature sets and the benefit it provides to bloggers. 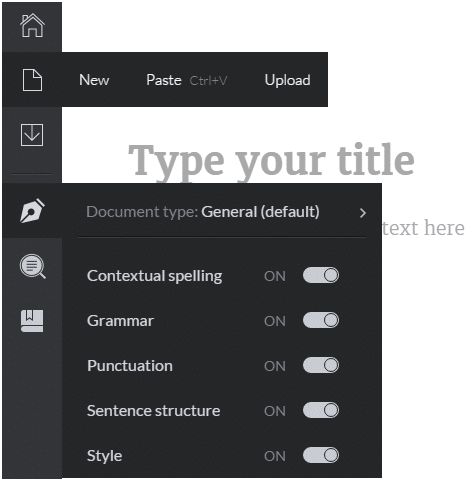 Grammarly operates as an automated proofreader and virtual grammar coach. Grammarly is the only online grammar check service that has a tool to check for plagiarism. It found some plagiarized phrases in our test paragraph that also appear on the web. Considering you do a lot of writing on the web, you can install Grammarly extension for your browser. It is currently available for Chrome, Firefox, Safari, and IE (You will need to install the version of these browsers supported by Grammarly). It’s called Grammarly Lite, a free browser extension that integrates proofreading tools directly into websites. You will be asked for your email address, which they use to maintain your personal dictionary. You won’t ever need to sign in to use Grammarly Lite. 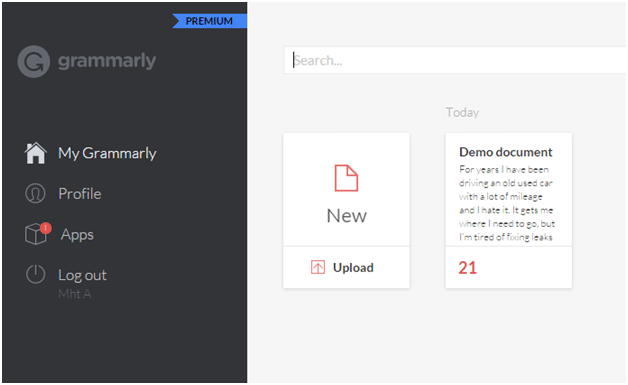 Grammarly Review – How Grammarly Extension Works? The basic account is free to use. You can use the free version of Grammarly. If you are full-time blogger or writer, you may need to subscribe to a premium plan for Grammarly. 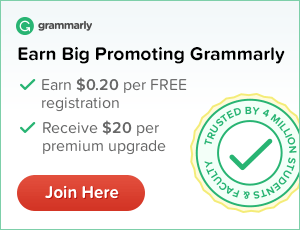 The benefit of using Premium Grammarly is - you get access to more than double the number of grammar rules, plus a plagiarism checker and a vocabulary enhancement tool for finding alternatives to the words you always default to. Here, you can write a new article by Clicking on ‘New’ or upload any document you have by clicking on ‘Upload’. When this grammar check detects errors, it presents them to you one at a time. The erring word or sentence is highlighted the in light red, and a text box with an explanation appears just below it. You can view a short explanation or an extended description of the error. The long description fully identifies the grammar rule being broken. It also lists incorrect and correct examples and even exceptions to the rule. You can get a colorful summary of your mistakes and save and print a report in PDF format. You can click on a highlighted word, denoting an error, to see possible corrections and reasons for the error, and get the same information by clicking on the list of issues to the right. There are lots of Grammarly alternatives available in the market but I personally like Grammarly. Grammarly is an award-winning writing tool. It has more than 3 million registered users and is used by more than 100 educational and corporate clients, including Princeton University, University of South Florida, University of Virginia, and many others. It offers an online spell and grammar checking application that helps users find and correct English writing issues. Grammarly makes a meaningful impact in users’ lives; students get better grades, professionals accelerate their career progress, and language learners improve their written English. Grammarly's Affiliate Referral Program is now live. You can become one of affiliated to this referral program. You can now direct prospective affiliates through a unique signup link and receive a $20 cash bonus (available from 01/18/2016 till 02/18/2016) plus a bonus equal to 10% of the referred affiliate’s commissions. 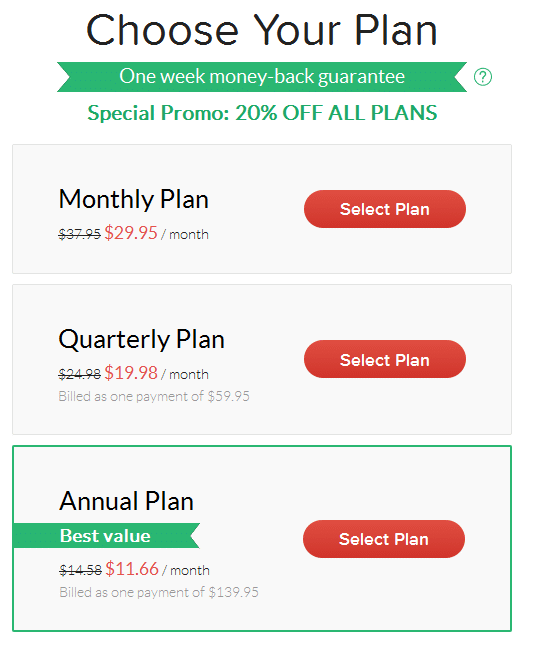 For example, if your referred affiliate earns $1000 in a billing period, you will get a cut of $100 for that period. Grammarly is one of the best writing tool available in the market. If you ask me "Is Grammarly worth it? I would say Yes! This grammar check service has a high Accuracy Score and recognizes a variety of common grammatical errors. But it may not detect every word. Grammarly should not be considered the final word in spelling, syntax, and grammar, but it is a helpful aid when you need a spelling and grammar check. Also, its extensive explanations can teach you grammar rules. Try this tool and if you are satisfied with it, you can also go for Grammarly Pro. Do share your feedback or experience with Grammarly. Great review! Best one I’ve seen so far!